'''' Many congregations ask families to light the Advent Wreath reading a script about the meaning of the candle. Often the readings are too long including a Bible verse, some words of explanation and a brief prayer. Simply naming the candles being relit and then adding one sentence of explanation about the candle being lit for the first time does the job. It is also easier for people to remember the candle if it is lit after its meaning is explored in the sermon and liturgy. There are no universally accepted, unquestioned, don’t- mess-with-this meanings for each of the candles of the wreath. 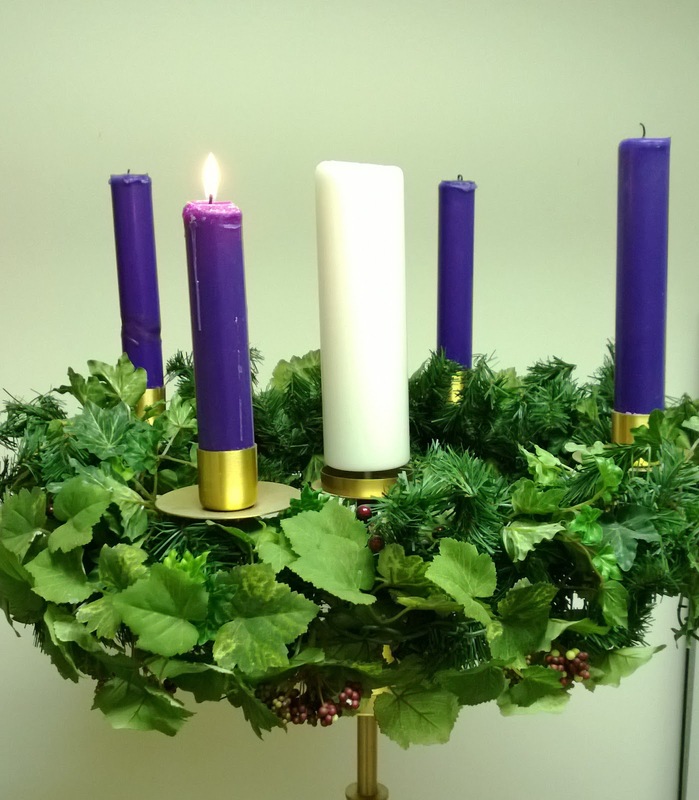 That invites worship planners to match the meaning of the candles to the themes of the Sundays of Advent worship. I will suggest several possible meanings for the candles of Year A Advent. Asking families to light the wreath is fine. 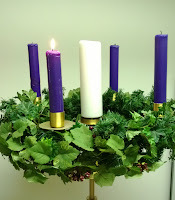 But, for variety some year, ask a different class or group within the congregation to light the Advent wreath each week. Select groups that are from different ages and match them to their theme. Each group is to come up with a brief answer to one question about its theme, decide who will light the candle/s and who will read. The whole group comes forward to stand near the wreath as the candles are lit. Below is a set of directions for an invited group to follow. December 12 is the third Sunday of Advent. You will relight the first two candles and then light the third candle. As one person lights the candles, another person or persons reads. Today we light again the first candle of Advent, the candle of…..
And we light for the first time the third candle, the candle of patience. ADD ONE SENTENCE ABOUT PATIENCE COMPOSED BY THE CLASS AFTER READING JAMES 5:7-9.
'''' If your congregation displays a Chrismon Tree in the sanctuary, its meaning has to be re-explained regularly. Highlighting one or two ornaments tied to the week’s worship theme each week, helps children claim the ornaments and see the tree as more than just “the church’s pretty Christmas tree.” Do this during the sermon pointing to the key ornaments with a flashlight to point them out. Or, make it a feature of a time with children each week.
'''' 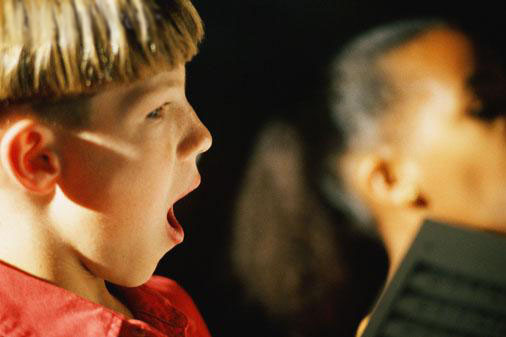 Children no longer learn Advent and Christmas carols in public school. 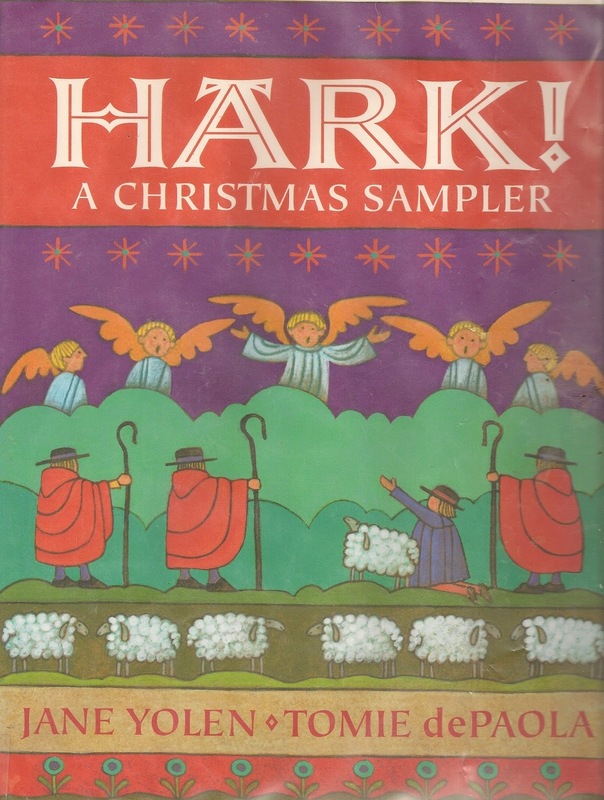 That puts families and congregations on call to intentionally introduce these loved songs, explaining their meaning and history, rather than simply assume that by singing them with the congregation the children will eventually come to love them as we do. One way to do this is to “feature” one song the congregation will sing each week. There will be lots of suggestions each week. You can also go to Singing Christmas Carols in Worship with the Children.
'''' Display a crèche in the sanctuary. On the first Sunday of Advent, set aside all the angels and the baby. Place the shepherds and some sheep in one area of the worship center, the traveling magi in another, and Mary and Joseph in separate areas. In the stable area place the empty manger and animals. 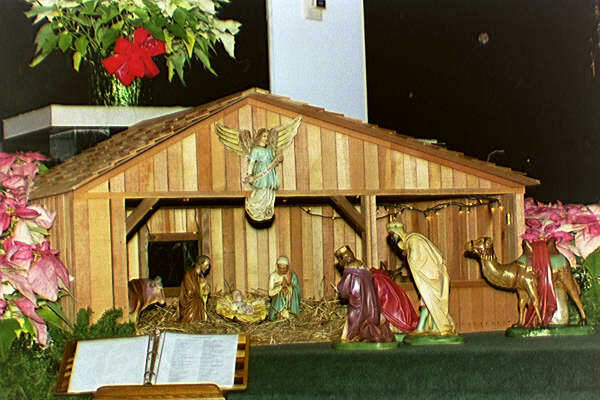 Move the figures to the manger as their stories are told during Advent, Christmas and Epiphany. Involve the children in unpacking them and putting them in place on the first Sunday of Advent. Involve the children in moving the figures at the appropriate time or make the movement and very visual part of worship to get the attention of the children. Suggestions will be offered for each set of readings. FYI In Year A all the pieces are unpacked and spread out on the First Sunday of Advent. A shepherd is turned into John the Baptist and set near the empty manger just for that day on the second Sunday of Advent. Mary moves to the manger on the third Sunday (if you read the Magnificat that week). Joseph (and Mary if you did not move her on the third Sunday) move on the fourth Sunday. The Shepherds move on Christmas Eve and the baby is placed in the manger. The wise men wait until Epiphany.
'''' On the lookout for a good story book that reads well in worship to read to the congregation during the season? 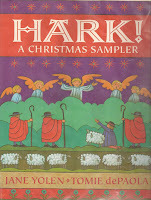 Go to o to Christmas Story Books for Worship. It gets updated every year.
'''' FINALLY, before you begin planning for worship for Christmas Eve Day, take a look at that post for ideas about planning overflow seating with children as well as adults in mind and the need to plan ahead for nursery care. Another suggestion for including kids: If you have a children's time during the worship, do an Advent Stocking. The idea is similar to Advent Calendars, but since we only see the kids once a week, this works well. Advent is about the excitement, waiting for Christ's birth. The Advent Stocking incorporates the excitement of opening gifts on Christmas day. I've done this for several years in my church and the kids have always loved it - and the adults like watching the thrill of finding out what's in the stocking too. The 1st Sunday in Advent is Star Sunday - the stocking has glow in the dark stars that we hang around the church (we're a small building so the only star free zones are the church office and the sanctuary). The 2nd, 3rd and 4th Sundays vary from year to year. One year each Sunday we "added" to the decorations on the walls - pictures of Wise Men, Shepherds, Stables, baby animals. Another year the stocking had "waiting friends" - beanie babies, little stuffies to take with them. Noise makers, little electric candles, anything that can be put into a stocking work great for this. And if the kids go out for children's church - simple craft activities fit in well too - foam nativity sets, ornaments to decorate. And if Christmas falls on a Sunday all the better - one year the kids went home with little bags of "treats". We usually also would do Christmas Cards for everyone in Church the last Sunday of Advent - from the kids of the church. Again, we are a small congregation, so it's easy to do this one since I know the names of the folks in the service, and can do a quick list before children's time, and then catch the names of any visitors that might be there to have a card for them as well. The visitors on Sundays like that always got a thrill of being included - it puts a smile on their face and recognizes that we are glad they shared their morning with us. (We also would do Valentine's Day Cards the Sunday before Valentine's Day. I still have the ones the kids did for me on the sly.) Something like this gets a little more difficult if you have more than 30 or 40 people during services but I"m sure some resourceful person could find a way to do it at a somewhat larger church.